Stock the classroom with Nature Color's storage units, stackable chairs, book displays, tables, rugs, and baskets for young students. 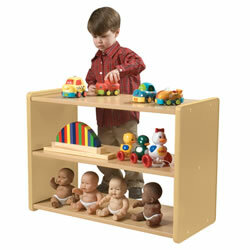 Build with imagination with this play table. It has a block grid inserted that accommodates the most popular block sizes. Included are 3 bins and one removable gear grid. Assembly required. 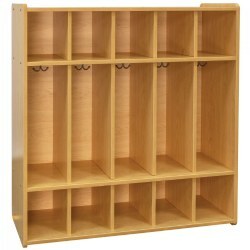 20"H x 45"W x 20"D.
Cubbies include double coat hooks. 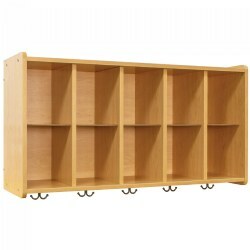 Mount wall locker at any height to accommodate any age group. (Mounting hardware not included. Mount per your local building codes). Fully assembled. 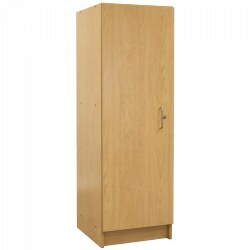 Locker measures 24 1/4"H x 46 1/4"W x 14 1/2"D. Cubbies measure: 9 1/4"H x 8 1/4"W x 13"D.
Provides maximum space and security for personal items as well as materials that need to be kept safely out of children's reach. 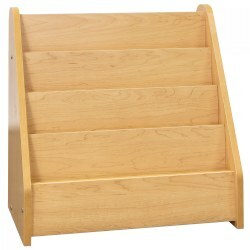 The spacious deep shelves are adjustable to suit individual needs. 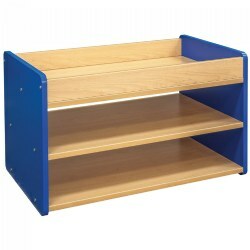 Features 4 full-width shelves and lockable doors. Assembly required. 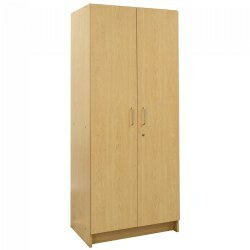 72"H x 30"W x 20"D.
Safely store items out of children's reach in this locking cabinet with three adjustable shelves. Fully assembled. Measures 59"H x 19"W x 19"D.
Children have plenty of room to store personal belongings in their own space. Double hook accommodates a book bag and coat. Fully assembled. 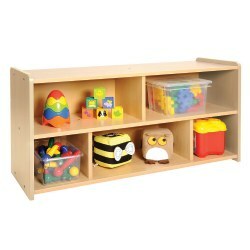 47 1/2"H x 46 "W x 14 3/4"D.
This storage unit is the right height for toddlers and has rounded corners with wrap-around protective edging which eliminates sharp corners. Five compartments and 2 large extra deep shelves. Fully assembled. 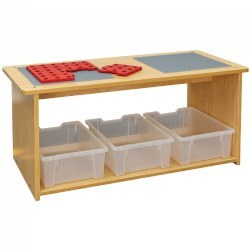 22 1/2"H x 46 1/4"W x 16"D.
Our two shelf storage unit features a clear acrylic panel on the back so you can see through to the other learning area. Makes a great room divider. Fully assembled. 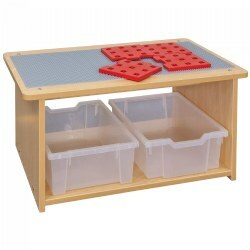 23"H x 32 1/2"W x 14 1/2"D.
Children can play with interlocking blocks, MEGA® blocks or DUPLO® bricks on this sturdy play table. 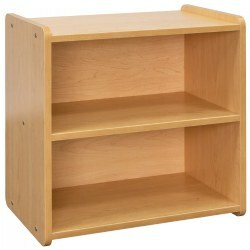 Includes two storage bins for additional building blocks. Ships ready-to-assemble. 15 3/4"H x 32"W x 20"D.
This storage center takes up less place in the classroom but provides enough for a learning center. Open storage shelves without dividers. Fully assembled. 23"H x 32 1/2"W x 14 1/2"D.
Waddlers and toddlers will love to cruise around the top of this unit. Perfect height for them to hold on as they learn to walk. Includes 4 bins with accessibility from both sides. Fully assembled. 18 1/2"H x 32 1/2"W x 19 1/2"D.